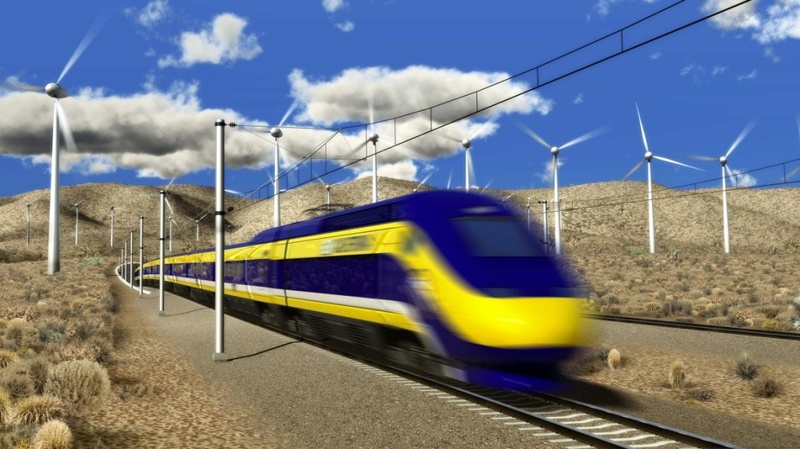 A rendering of what a high-speed rail train would look like traversing California's desert. Despite some roadblocks, California is moving forward with its $68 billion plan to connect San Francisco and Los Angeles with a high-speed train. Dan Richard, chair of the California High-Speed Rail Authority, says work on the first phase has begun, but some challenges remain.